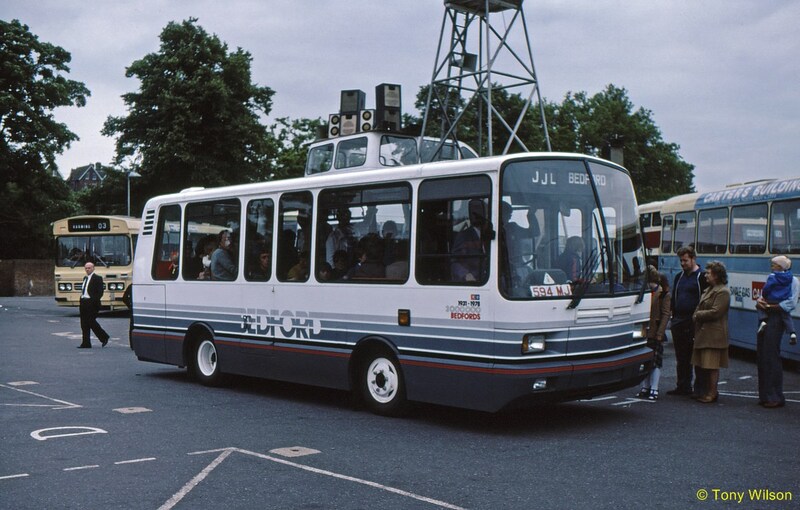 FOCUS TRANSPORT: Who remembers the Bedford JJL? The Bedford JJL was a midibus built by Bedford Vehicles with Marshall B24F bodywork. 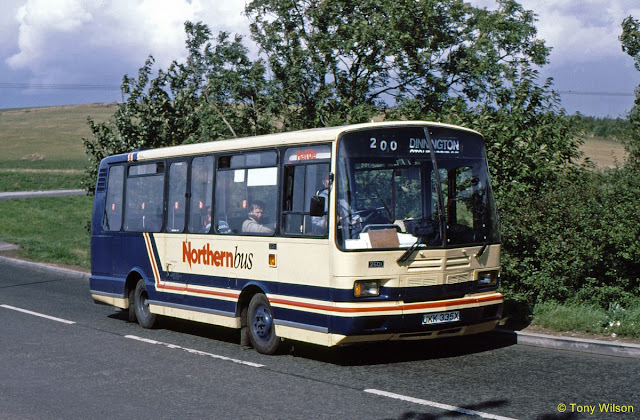 It was ahead of its time before the boom years of the midibus and such vehicles as the hugely successful Dennis Dart. A very limited number were built originally as demonstrators and somehow more by luck than judgement three out of the four were captured by the 'Box Brownie'. But maybe all four as one is an unidentified model. The four were eventually acquired by Maidstone Borough Council during 1981 and 1982. The first two AVS 903T and EKX 648T were registered in 1978 and later sold to Brighton Buses. EKX had a contretemps with a tree and was scrapped in 1988. 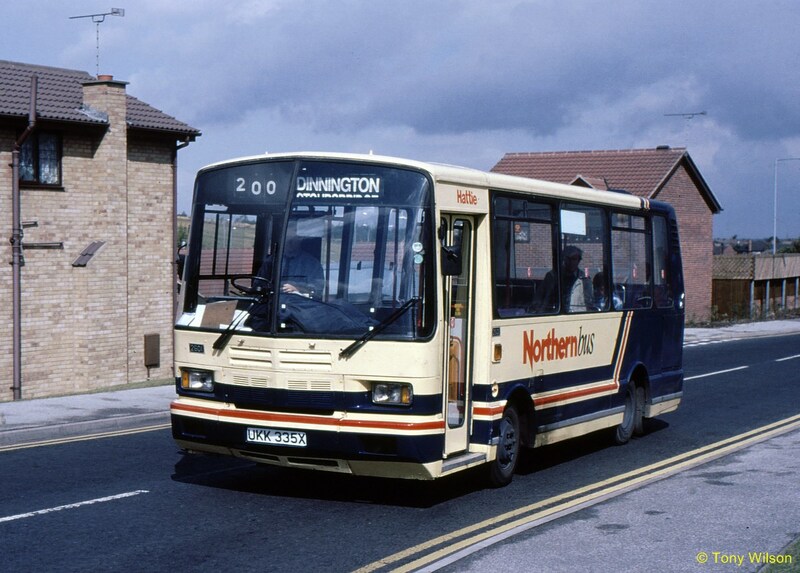 AVS was later sold to Northern Bus, Dinnington, South Yorkshire in 1992. HKX registered in 1979 eventually went to Bournemouth Transport in 1983 and assigned fleet number M10. 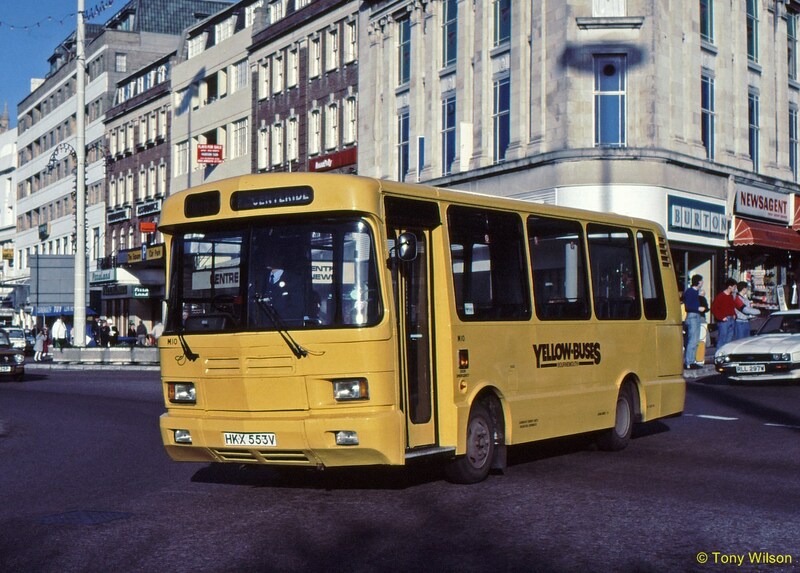 UKK registered in 1981 and like AVS also went to Brighton and then later to Northern Bus as their fleet number 2601. Sometime between 1984 and 1986 HKX received attention to its upper front bodywork around the destination box area. 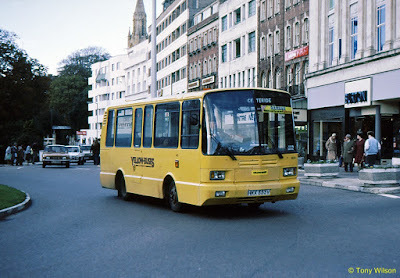 One of the two (AVS) that went to Brighton and became their number 37. 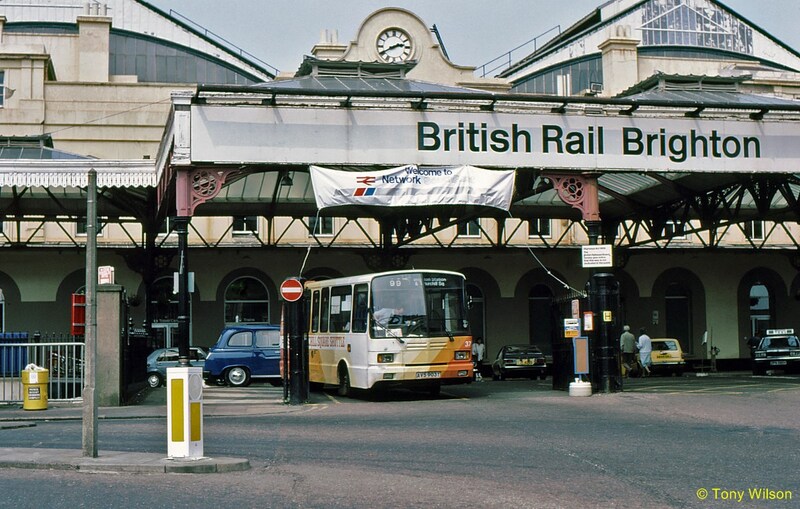 Shown on the forecourt of Brighton Station assigned to a shuttle service that linked the station with Churchill Square in June 1986. 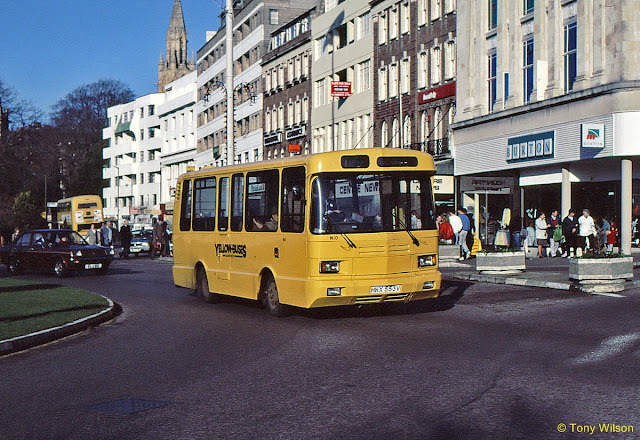 December 1984 and HKX had passed to Bournemouth Transport as their number M10 and here shown as at The Square in the town centre. 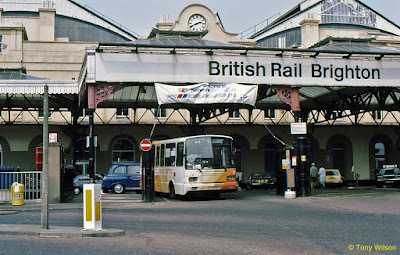 By 1986 the same bus appeared to have had a bit of a face lift with the area around the destination box receiving some attention. Long before the era of Botox. 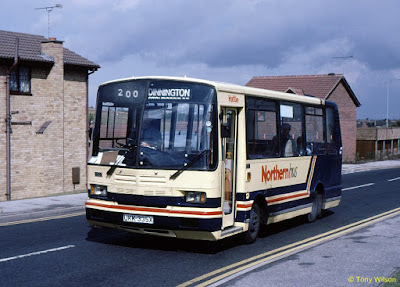 UKK was one of the two that later went from Brighton to the Northern Bus Company based at Dinnington in South Yorkshire. Here near and offside aspects are shown in the late summer sunshine of September 1994. As the company's fleet number 2601 it also displayed the name Hattie.